Where have you been? 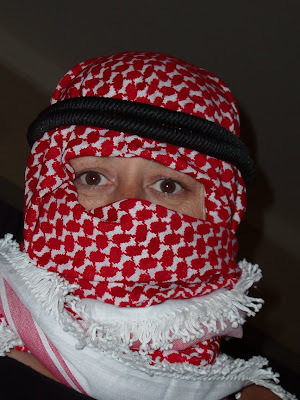 Well - as you can see from the picture - I've been to the Middle East! Jordan to be precise on a lovely diving holiday with Posselq. 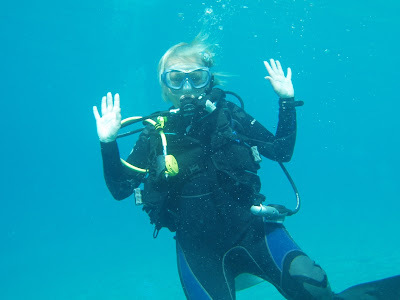 We went for 7 days - and dived twice a day for 6 days. We saw all kinds of critters under the water and had a fab fab fab time. I must have behaved because Posselq didn't try to drown me even once. That in itself is a big surprise - he had every opportunity. was a huge Moray eel lurking in its cave - complete with the skeleton of its latest meal right outside the door! The eel's head was as big as my thigh (thank you - I know that means it was huge). Man flu - swine flu - Posselq flu! Latest news - read all about it !!! !